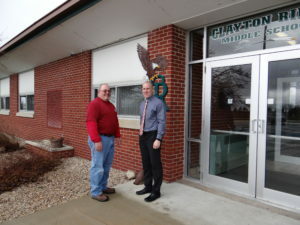 Pictured are Mike Plumley, Alpine; and Shane Wahls, Clayton Ridge superintendent, at the entrance of the Middle School in Garnavillo with a surveillance camera in the background. 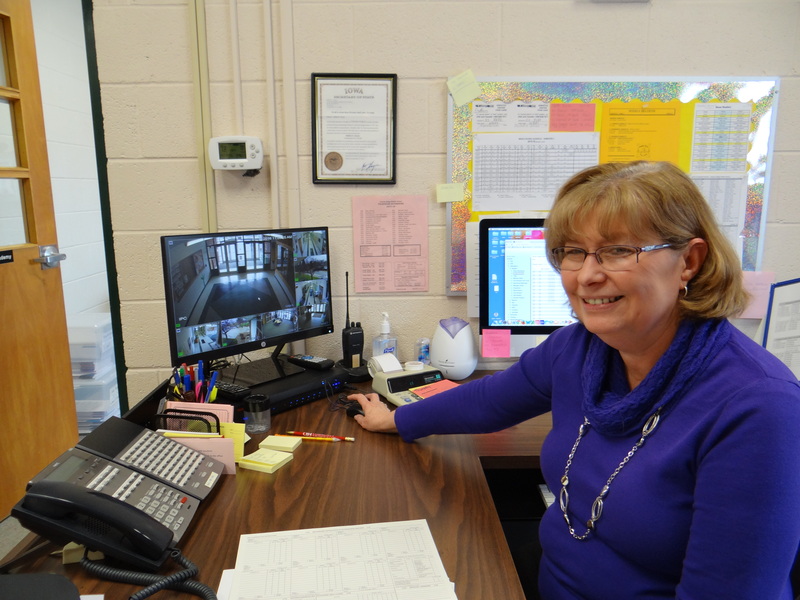 Pictured is Shirley Balk, Clayton Ridge Middle School secretary, monitoring the live video from the cameras installed throughout the district. delivering innovative solutions to our area,” noted Wahls. Clayton Ridge collaborated with Alpine’s certified security specialists, Dirk Buckman, Tom Hyde, and Mike Plumley, to prioritize the district’s needs and identify the most at-risk areas. 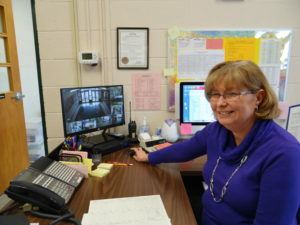 The district, along with input from their staff, determined the first phase would include installing surveillance cameras to monitor the main entrances to the High School, Elementary, and Middle School in addition to interior hallways. “Alpine also provided us with an affordable security solution that fit within our budget,” commented Wahls. “We continue to work closely with the school administrators to best understand how this solution can continue to evolve to meet the immediate needs of each campus,” noted Hopp.